Our light weight, yet comprehensive processes has a proven track record. We don’t believe in having a process just for the sake of it, but in a process that is light weight, agile and adaptable to the project at hand. We feel strongly that a process should be defined at the start of a project which will guide the development from inception, through requirements, architecture, design, implementation, test, launch, ongoing support and maintenance. We strongly believe in the need for a process to be defined at the start of the project which will guide the development from inception, through requirements, architecture, design, implementation, test, launch and ongoing support and maintenance.  Our agile web development process is a hybrid of incremental, agile, and scrum type methodologies. While there is not a “one size fits all” process model, we have found that not only do these models lend themselves to efficient light weight execution, they can also be readily tailored to the job at hand. We take the time to get to know you and your business. By identifying your business goals, core concept and target audience we can add value by bringing fresh perspective and ideas to the table. Knowing your target audience allows us to challenge and refine core concepts so that we can write solid, and sometimes fully delineated requirements for your project. We believe in solid requirements and a proven process. Our process is light weight, agile and adaptable. 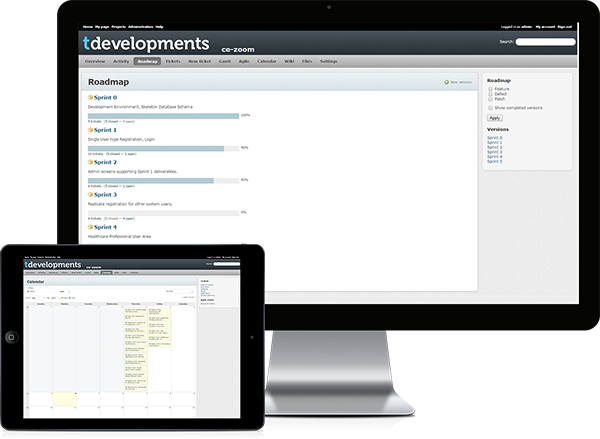 Our processes are highly collaborative and iterative, and involve the client at every step. We cannot develop a successful product in a vacuum with no client interaction and our processes put strong emphasis on receiving quality and timely input from the client. The importance of complete, consistent and well documented software requirements is difficult to overstate. You would not consider constructing a new building without blueprints, similarly one should not consider constructing a complex software system without requirements. By creating detailed requirements, review-able by all stakeholders, one can reach consensus and have a common framework by which the whole team can work towards. A user’s interaction with the application should be intuitive, seamless, and efficient. We specialize in creating applications that meet these requirements and are both visually appealing, contemporary, and approachable by the user. Before any actual implementation of design is done you will be able to review wire-frames and/or full visual comps and mock ups which will be refined using a highly collaborative process with the client. We will carry out comprehensive testing off your application. In many cases we create detailed test plans that can be executed on each iteration of development to ensure there is no regression and that new functionality has a clear and concise testing approach. Either after soft launch or without soft launch, we will manage and coordinate the full application launch. This can involve final provisioning of your application and database servers, ensuring all code is up to date, final test runs and initial monitoring of application performance as live users start interacting with the application. We stand behind out products and deliverables. You can be assured that we will be around for the long haul and will provide you with the level of service and support that your business requires. Over time you may find that you wish to enhance functionality, add new features, or change visuals, and we will assist with balanced and incremental development of your existing application. Just like there is no “one size fits all” process model, and every project requires a different set of skills and resource levels, both from an overall project perspective and also from each individual phase of the project; resources should be, and are applied, when they are actually needed. Whilst one project may require a dedicated Project Manager, Product Manager, Visual Designer, UX Architect and Designer, and other key engineering staff, for another this may be complete overkill and absolutely not necessary. To accommodate this we maintain a virtual team of resources with key skill sets and allocate them based on the scale of the project and when they are actually required. At any given time you can be assured that you have the optimum compliment of staff within your core team.